Once upon a time, the founder of Escape to Yoga was a political activist. She regaled her friends and family with her views, started a Facebook account to get a greater audience, had debate parties, donated cash to campaigns, collected petition signatures, spoke at public rallies. Meanwhile, she was under a lot of stress and booked a trip to Thailand for her first yoga retreat. When she came home, she told her friends and family what she had learned, and declared that she was giving up politics, and was taking up teaching yoga instead. They cheered!!! They gleefully volunteered to let her practice teaching them yoga. Her Facebook friends list finally started to grow, and all in her world were happy and content. After a few years, she shed her old job and created Escape to Yoga. 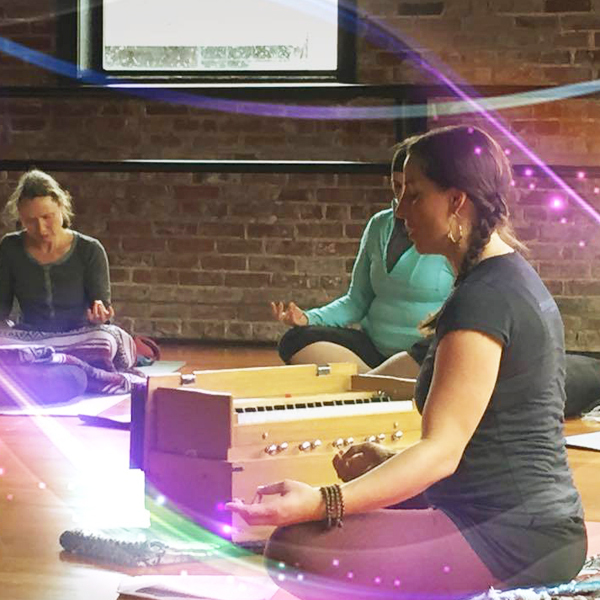 A place where there is abundant yoga, and a warm community that values inclusivity and compassion. A peaceful space where all people are safe to engage in quiet self-care. Here, no one’s views are challenged, and all are welcome and respected. The founder forgot all about politics. Things have changed in the outside world… Politics is screaming at the top of its lungs and no one can ignore it. No one is unaffected. BUT, ESCAPE IS STILL A SAFE PLACE! Here, no politics are allowed. When we carve out a short time for our mats, we use it to honor the genuine, individual, unique pursuit of personal peace and wellness for ourselves, and for our neighbors. We practice compassion for ourselves so we are able to share compassion for others. We hold this quiet space for everyone. Please join us. Please take care. What Does Yoga for EVERY Body Really Mean? It means you belong. This is your yoga. There aren’t many real one-size-fits-all solutions in life that truly can serve all people. We are all so diverse… in age, shape, color, gender, condition, needs, and wants, that it may be impossible to imagine a physical exercise system that could truly serve everyBODY. However, Yoga, given its many forms and practices, really IS for everyone, and there are couple aspects of yoga which make this particularly true. There are many different types and styles of yoga. Some are vigorous and athletic, while others are calm and meditative. At Escape, we offer class styles as diverse as our members. Our Gentle Hatha classes are loved by our seniors and healing students. Vinyasa yoga provides a fun workout challenge. 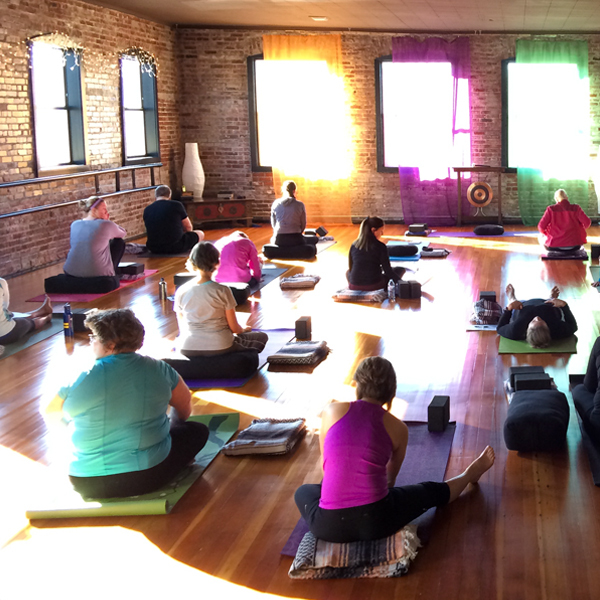 Basic Hatha classes, which just about anyone can enjoy, are ideal for beginners. By choosing the right class, yoga can be just the right experience for you and YOUR body. The second aspect of yoga that makes it suitable for everyone is the philosophical approach to practicing yoga which honors the individuality of each person. In Yoga, we are asked to let our own body be the guide for how to perform the poses with the awareness that every pose will look different in every body. In other words, we don’t fit our bodies to the poses, we fit the poses to our body. There is no perfect pose, only your own unique manifestation of the pose. Aside from picking the right class, bringing a positive attitude, and an open mind you may be wondering if it really is possible that yoga is right for YOU. Due to yoga stereotypes perpetuated by the advertising industry, it’s quite common for anyone who is not a skinny white woman to wonder how the shapes depicted in glossy advertising campaigns could ever be relevant to their own body. But don’t let the advertisers fool you with their acrobatic pictures! The real life bodies that are actually found practicing yoga in Escape’s classes include larger bodies, older bodies, male bodies, “stiff” bodies, and healing bodies and the only thing all these bodies have in common is that yoga feels great on them! So, if you still have doubts that yoga is for you (I’m talking to YOU, Mr. “I-can-barely-sit-on-the-floor-let-alone-touch-my-toes”) please contact us. We can help you select the right class and address any personal reservations you may have. Check out our New member Special! What to know about practicing yoga when you're hurt. When experienced yoga practitioners are hurt, they ask… “Can I get back to my yoga practice before I am 100% better?” The answer is “Yes!” and here is why you should! Practiced gently, yoga can help you maintain your strength, flexibility, and balance while you are healing. Healing from injury or illness can be emotionally difficult and sticking with a modified yoga practice can help you deal with any impatience, frustration, or sadness you may be feeling. Starting something new can be a wonderful distraction from your ailment and can help you feel like you are moving forward, even if your healing process seems slow at times. Experienced yoga practitioners generally agree that life is better with yoga in it… when they are hurting is when they need their practice and their yoga community most! Get back on your mat, smartly! BUT, it is important to remember that not all kinds of yoga are good for you when you are healing. If your doctor has not yet cleared you for physical activity, it’s a great time to try a Meditation or Nidra class. Feeling good mentally is a huge part of feeling better physically. When you are discussing whether you are ready to hit the mat with your health practitioner, let her know that you have access to safe, gentle yoga classes taught by certified, experienced instructors. Start with a Restorative class. These classes will help to loosen up joints stiffened with inactivity slowly, gently, and with plenty of supportive props. You’ll spend most of the class lying on the floor and the preparations for each pose are geared towards creating total comfort with plenty of time to adjust around your injury. Tell your yoga instructor you are hurt or not feeling well. They can give you some tips for appropriate modifications or alternative poses and, while keeping an eye on you to make sure you are staying safe, will not interfere when you are skipping poses, doing different poses, or doing the poses differently than usual. Don’t do anything that hurts. Yoga is not supposed to hurt and there is no healing benefit to pushing through pain. Skip poses that threaten to cause pain in the area of your injury, or only go as far into the pose as you can without triggering pain, or modify by doing the parts of the pose that do not include the injured part of the body. When you are opting out of a pose in class, you can use the time to rest, to repeat the last pose you did that felt great, or to practice a pose that your instructor suggested as an alternative. Add in Hatha classes when you are ready to do some standing work. Our Gentle Hatha classes are ideal for people who are healing. They are slow moving and geared towards protecting people from injury. While you will work on strength and balance in these classes, there is plenty of time for rest and deep stretching, too. Gentle Hatha classes are where you can learn the modifications and props to use when you are ready to move on to more challenging Basic Hatha classes. Stay away from fast-moving Vinyasa classes. When moving from pose to pose quickly, it is very difficult to feel your way around an injury before committing to each pose. Slow-moving Hatha classes allow time to test out a pose or position, and modify or opt out if it doesn’t feel right. Hatha classes provide a great opportunity for Vinyasa yogis to step back and work on more precise alignment and longer holds, which will improve their Vinyasa practice when they are ready to go back. Learn More About Our Classes! We know you are dying to get back to working on your handstands, or you’re wondering if that lingering pain will ever go away, but pushing too far too fast could set you back, and possibly keep you from your mat entirely. Some yoga is always better than no yoga and maintaining a gentle, safe, modified practice will get you back to your favorite classes sooner. Have a question about yoga and an injury? Drop us a line, we're here to help! It’s a big claim… and we’ve all been programmed to believe it’s the most impossible myth of all time. But I would assert that Yoga really IS the fountain of youth. Much to this strongly-muscled-levitating-pretzel’s surprise, the people that fill the yoga studio she opened in a sleepy town in Oregon are in large part seniors. Seniors who have no interest in standing on their hands or wrapping their arms under their legs and behind their backs. Seniors understand the fountain of youth. They get that it couldn’t possibly be so easy as taking a sip from a chalice. They know that it takes regular, consistent, dedicated time on the mat. The fact that it takes steadfast repeated, hard work makes the myth more believable. My Grandmother used to say that if it’s not worth working for, it’s not worth having. Our seniors attend more regularly than any other group, even the teachers. We don’t have mirrors in the studio, so they may not see the changes their several weekly visits are making, but we can, the teachers can see it. Ready to take a sip & feel your best at every age? Unroll Your Mat & Get Started! We see people who could barely sit on the floor when we met them slowly become steadier on their feet, gradually take on poses they initially laughed at. They grow almost imperceptibly taller, as we watch them balancing endlessly on one leg with a smile while the newcomers to yoga tumble to the floor. Last night I watched a 65-year old woman, who after 2 ½ years of consistent practice performed a perfectly graceful practice with steadiness and precision. Her visibly toned muscles creating open and fluid shapes wrapped in logic-defying aged skin and luminescent silver hair. She talked her husband into drinking from the chalice about six months ago… now they both have a visible spring in their steps! Seniors are experienced, wise, humans, and they recognize a good thing when they see it. I know they are on to something magical, because they tell us how great they feel, how yoga has changed their lives. They keep coming back, and their numbers in classes of all types are growing. This is all the evidence I need to believe, and boldly claim, that yoga is the Fountain of Youth. Ready to gain balance, range of motion & ease? Thank you for sharing what is in your heart so that I may discover what is in mine. I know it is tough for you to walk the line between being authentic and interesting without imposing your ideas on me or pushing too far past my comfort zone. I forgive you for not getting it exactly right sometimes. Thank you for staying vulnerable and open even though you have occasionally been judged or misunderstood. Thank you for doing your best. I am, too. The light in the heart of the teacher in me salutes and honors the light in the heart of the teacher in you.